Just a quick post for you today, I was at training all of last week and through the weekend, so I haven't really had anything exciting to share! With all of the travel that I've been fortunate to experience in the last couple of years, I've figured out a few tips and tricks to make my packing process easier and to also make using my items easier when I reach my destination. One thing that stumped me for far too long was how to pack necklaces. I had seen so many tips out there that just didn't really work for me. Then, one day, I thought of this method and I have never turned back. 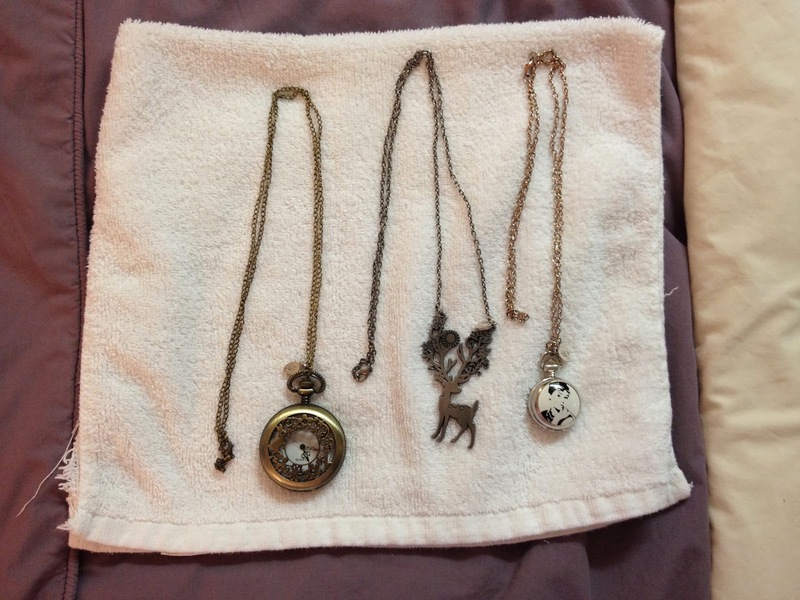 What I do is I take a towel (usually a hand towel, but you can really use whatever size works for you) and fold it to make it the right size for my necklaces. With my really old hand towel(ish) sized one I usually fold it once. Then, I lay my necklaces down on the towel. 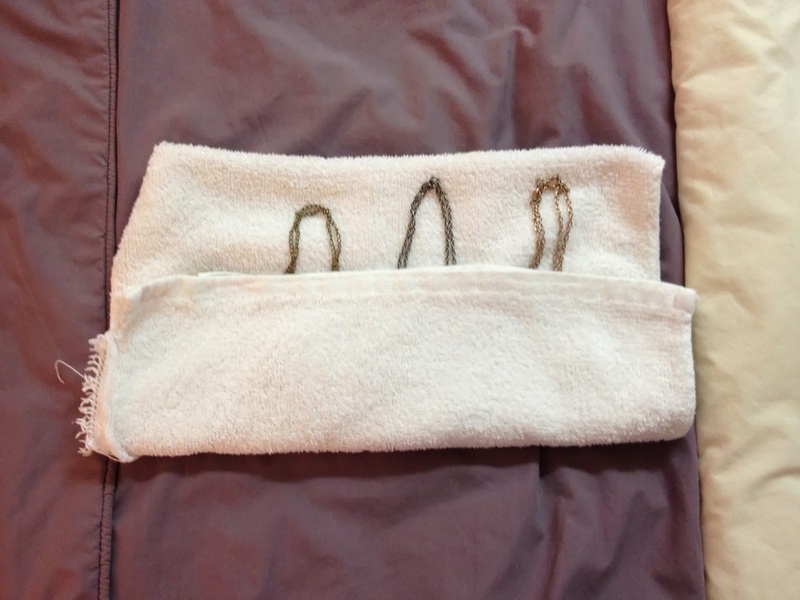 If they're super long I fold the chain back on itself to make it fit on the towel without anything hanging over the edge. Next, I take the towel and start to roll/fold it. I say "roll/fold" because the first part is a fold, to make sure the pendant or clock or large part of the necklace is held in tight and then I roll after that. I end up with a rolled up towel that I just stick along the edge of my suitcase. I usually add it before I put anything else in, but it can really be added anytime. Just be sure to keep it flat and tight so the necklaces don't slip out the end. How do you pack your larger necklaces for travel? Any other tips? I would love to hear! Great way to pack them. I usually put mine in small sandwich bags, and it works fine. I think I'm going to try this new method though. I've never thought to pack necklaces like this! It's genius. Thank you! These are such great tips! I always have issues packing necklaces!